In one of my previous posts, I had discussed Custom Robots Header Tags Settings for blogger. If you have read that post then I hope you guys are aware of its importance in search rankings. Today, I am back with a very useful and must aware blogging term that is Robots.txt. In blogger it is known as Custom Robots.txt that means now you can customize this file according to your choice. In today's tutorial, we will discuss this term in deep and come to know about its use and benefits. I will also tell you how to add custom robots.txt file in blogger. So let's start the guide. ​Robots.txt is a text file which contains few lines of simple code. It is saved on the website or blog's server which instruct the web crawlers on how to index and crawl your blog in the search results. That means you can restrict any web page on your blog from web crawlers so that it can't get indexed in search engines like your blog labels page, your demo page or any other pages that are not as important to get indexed. Always remember that search crawlers scan the robots.txt file before crawling any web page. This code is divided into three sections. Let's first study each of them after that we will learn how to add custom robots.txt file in blogspot blogs. This code is for Google Adsense robots which help them to serve better ads on your blog. Either you are using Google Adsense on your blog or not simply leave it as it is. This is for all robots marked with asterisk (*). In default settings our blog's labels links are restricted to indexed by search crawlers that means the web crawlers will not index our labels page links because of below code. That means the links having keyword search just after the domain name will be ignored. See below example which is a link of label page named SEO. And if we remove Disallow: /search from the above code then crawlers will access our entire blog to index and crawl all of its content and web pages. Here Allow: / refers to the Homepage that means web crawlers can crawl and index our blog's homepage. Now suppose if we want to exclude a particular post from indexing then we can add below lines in the code. Here yyyy and mm refers to the publishing year and month of the post respectively. For example if we have published a post in year 2013 in month of March then we have to use below format. 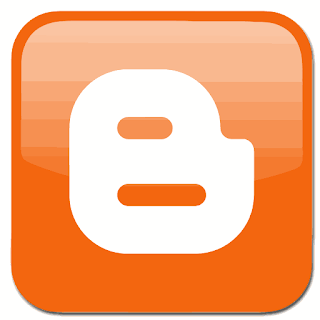 To make this task easy, you can simply copy the post URL and remove the blog name from the beginning. This code refers to the sitemap of our blog. By adding sitemap link here we are simply optimizing our blog's crawling rate. Means whenever the web crawlers scan our robots.txt file they will find a path to our sitemap where all the links of our published posts present. Web crawlers will find it easy to crawl all of our posts. Hence, there are better chances that web crawlers crawl all of our blog posts without ignoring a single one. Note: This sitemap will only tell the web crawlers about the recent 25 posts. If you want to increase the number of link in your sitemap then replace default sitemap with below one. It will work for first 500 recent posts. Now the main part of this tutorial is how to add custom robots.txt in blogger. So below are steps to add it. Now paste your robots.txt file code in the box. Once you visit the robots.txt file URL you will see the entire code which you are using in your custom robots.txt file. This was the today's complete tutorial on how to add custom robots.txt file in blogger. I tried my best to make this tutorial as simple and informative as possible. But still if you have any doubt or query then feel free to ask me in the comment section below. Make sure not to put any code in your custom robots.txt settings without knowing about it. Simply ask me to resolve your queries. I'll tell you everything in detail. Thanks guys for reading this tutorial. If you liked it then please support me to spread my words by sharing this post on your social media profiles. Happy Blogging!